Profile: Agent Lament is currently stationed at Site-11, though he is transferred as necessary. Agent Lament is one of the Foundation's containment specialists, and is regularly assigned to groups looking for new or more stable methods of containment for SCP's. Additionally, he is occasionally reassigned to recovery teams when dealing with previously encountered SCPs or untested containment procedures. 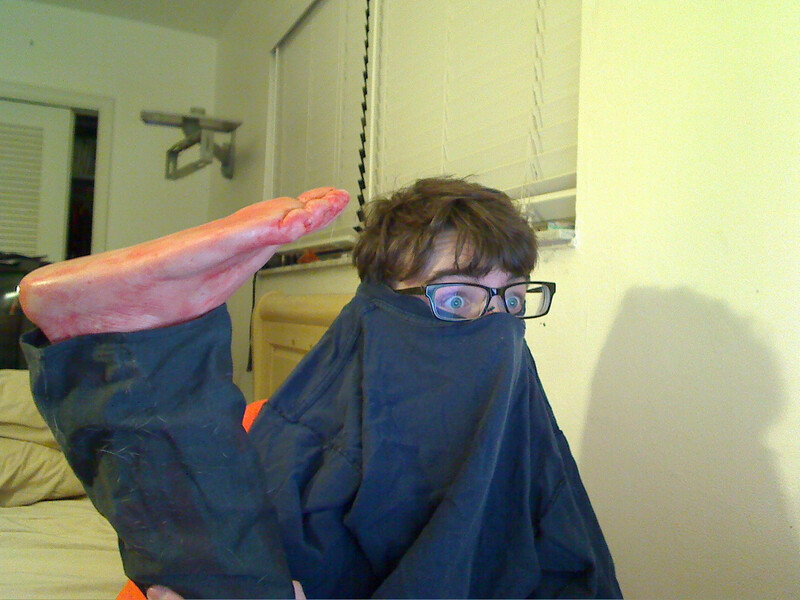 History: Agent Lament was originally acquired by the Foundation after he was mistaken as for a victim of SCP-113 who escaped containment. 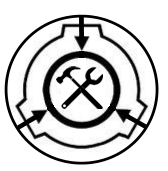 After two years of research, Dr. ███████, the head of SCP-113's research team, discovered the truth, and Agent Lament was recruited to work with the Foundation. Current call sign originated when assigned to Site-██ in Mexico, where his solution to a containment issue (See Attached File: "Can't We Just Throw This One Away?") saved significant Foundation resources. The original nickname, "La Mente," was bastardized into its current form with his reassignment to Site-11. Following his time at Site-11, Lament was transferred to Site-19 to work on Projects [DATA EXPUNGED] and [DATA EXPUNGED] with Dr. █████. Note: Agent Lament is not, in spite of his arguments otherwise, the "Site-11 Pie Tester;" has never been, nor will he ever be, the "Lord of the Dance;" and is, under no circumstances, a certified public attorney. 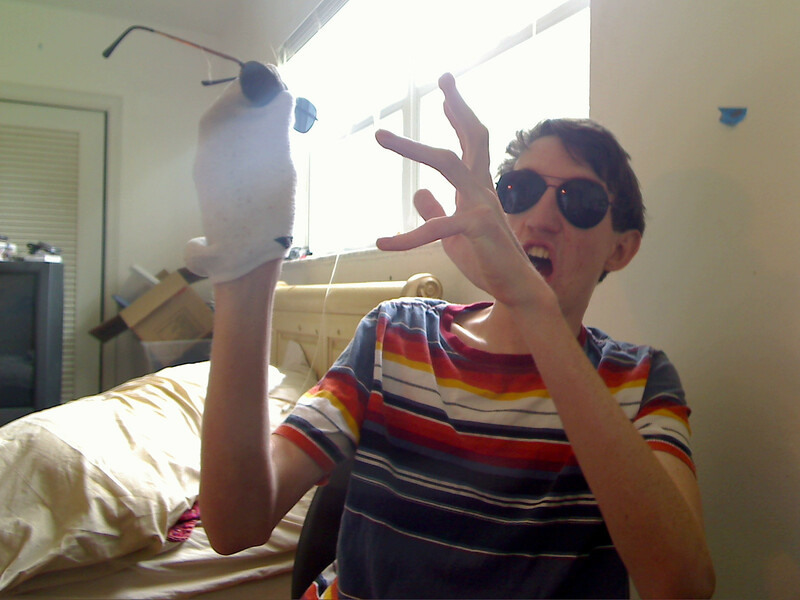 Do not be duped by his clever costumes. Halloween Contest! - Halloween Contest for 2012. All entries available here. New Years Contest - AKA, The Canon Contest. All entries available here. And Then I Died - Game I Used to Run. You can still find some of my entries over there! Seven Offering to the Campfire - Stories offered for protection on dark nights. Responsible for entries one, two, and three. Volume One of 'Lost Wanderers' - Responsible for "The Wandering Boy" and "The Ancient Ones"
<&TroyL> Oh, but seriously, Roget? <&TroyL> Yeah. Yeah, that's hot. <&TroyL> We need another one, Roget. <&TroyL> Roget. 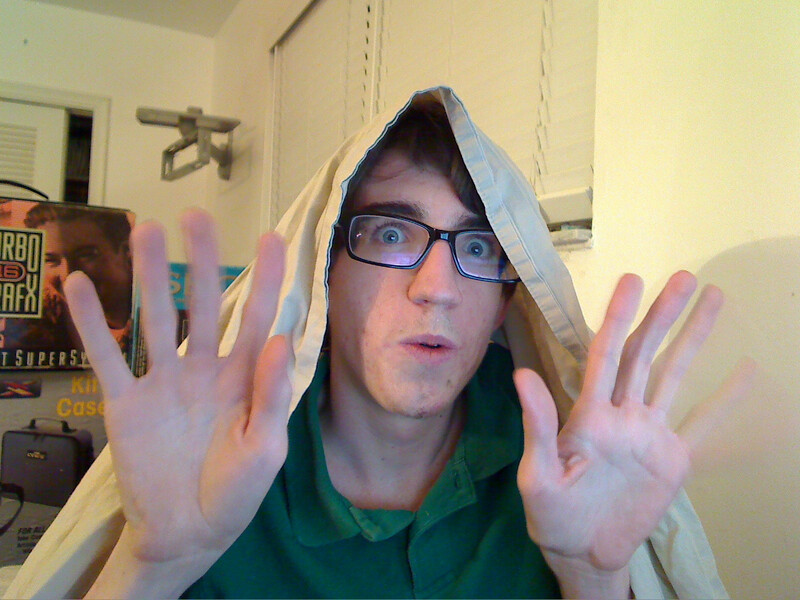 I want you to pretend to be a ghost with a sheet. 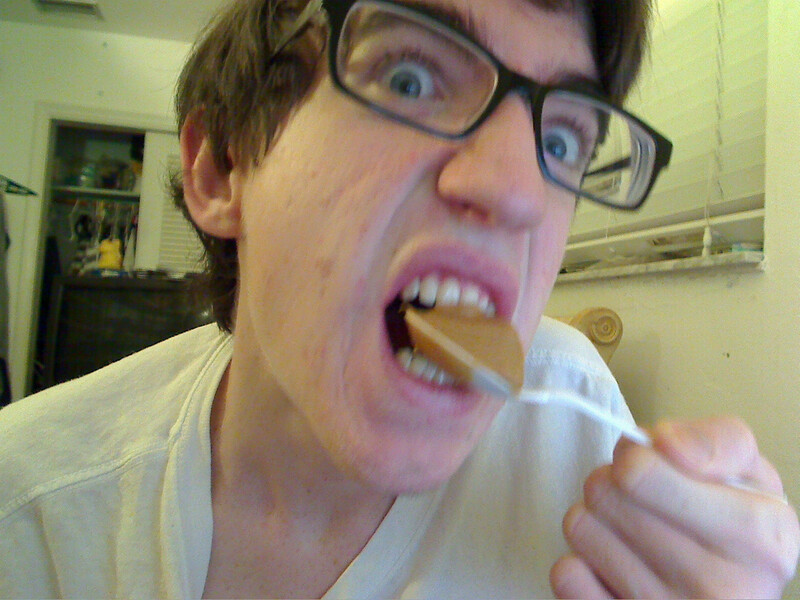 <TroyL> I need you to very angrily eat a spoonful of peanutbutter. <Rogisreallyinbednow> You pinged me for anything in part- right now? <TroyL> Take all the time you need. 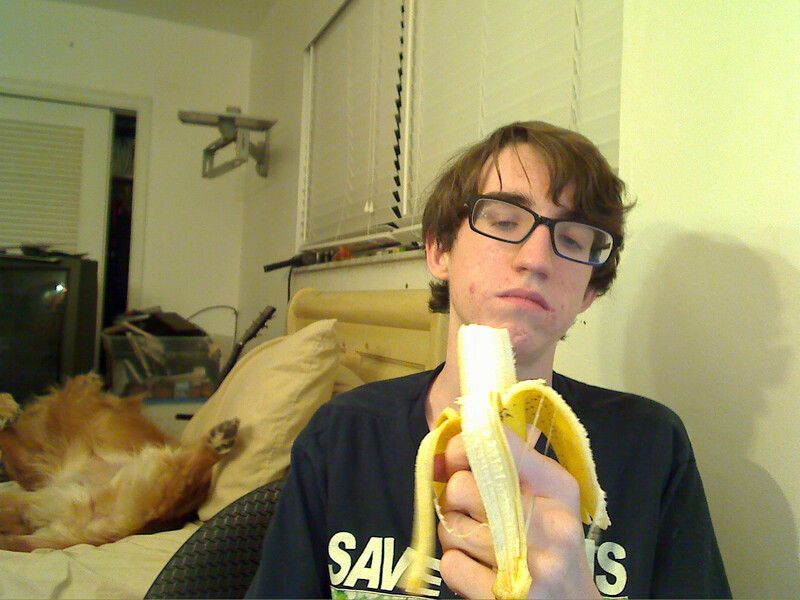 <&TroyL> I need you to be very unimpressed with a banana. <&TroyL> And the dog is awesome, there. <~TroyL> I'm gonna need you to pretend to be a ninja using a black t-shirt. 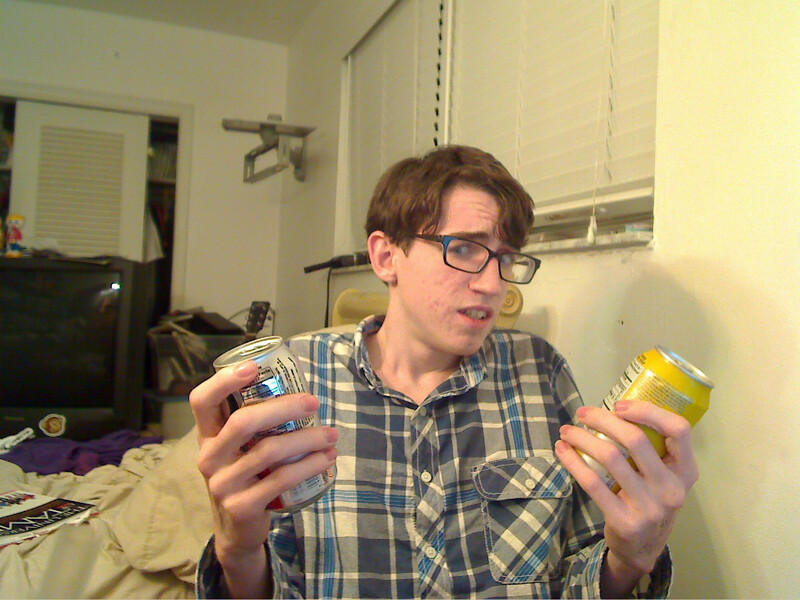 <TroyL> I'm going to need you to be very upset over having to choose between two different sodas. <Roget> Can one of them be tea? <TroyL> Is it in a can? <TroyL> Then yes. Please look back and forth, then appear extremely conflicted. 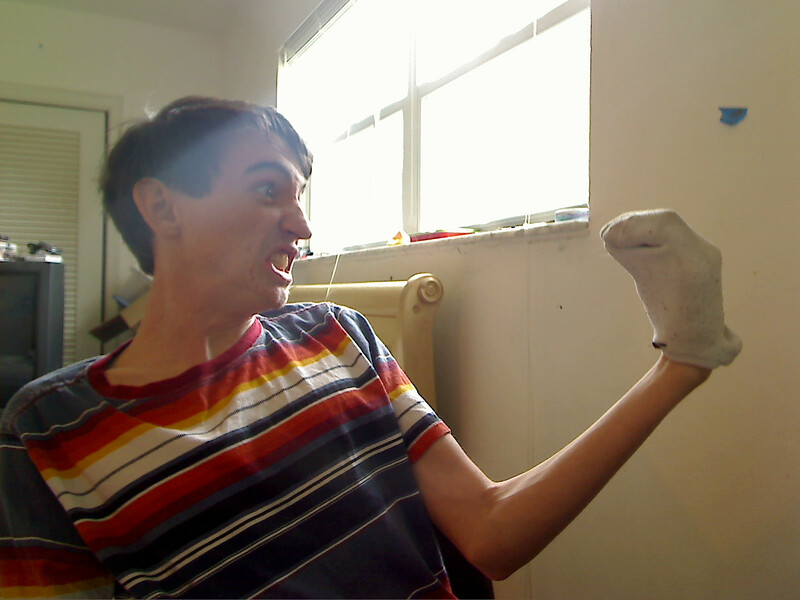 <TroyL> I need you to glare angrily at your sock, then challenge it to a duel. <&TroyL> Already saw it, Kaktus. <&TroyL> Man. I just realized how much I want more Roget based .gifs. 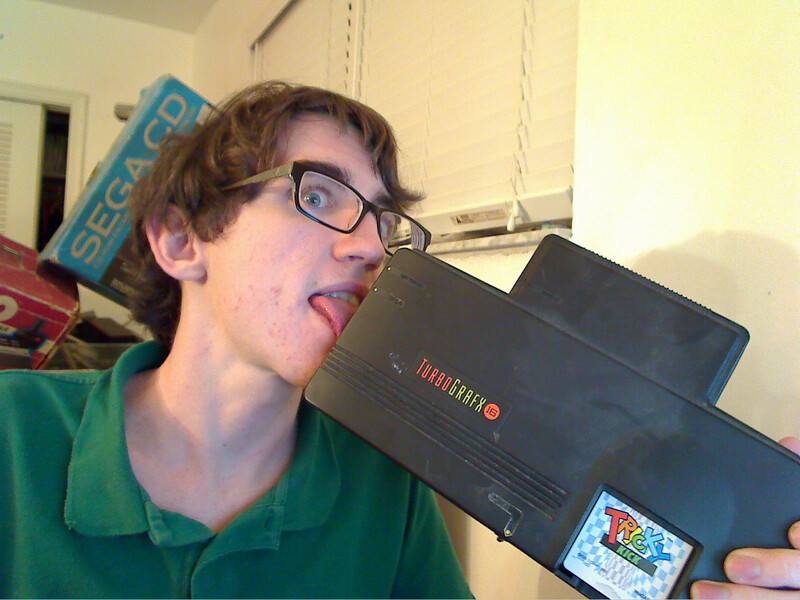 <&TroyL> I'm going to need you to make a .gif of yourself blowing out an NES cartridge. Bonus points for perfect loop. <&TroyL> Double bonus points if it's a Wisdom Tree game. <&TroyL> Do you have Gauntlet? <&TroyL> Kaktus, I have an important job for you.